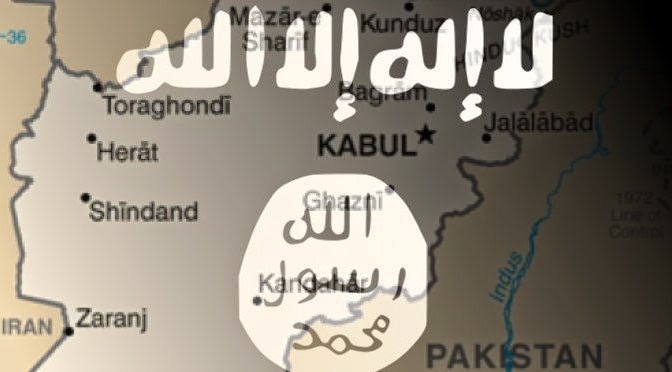 A group of Uzbeks in northern Afghanistan, claiming to be from the Islamic Movement of Uzbekistan (IMU), says it is pledging allegiance to the Islamic State extremist group. A person calling himself Sadulla Urgenji said the IMU no longer views Taliban leader Mullah Omar as leader since he has not been seen for some 13 years and, "according to Shari'a," can no longer be leader. Urgenji said his group was recognizing the authority of the Abu Bakr al-Baghdadi, leader of the Islamic State group. Tajikistan is alarmed by the activity of Islamic State’s armed groups close to its border with Afghanistan, a spokesman for the republic’s State Committee for National Security told TASS on Wednesday in comments on the border situation. "Over the recent time, we have been witnessing movements of armed groups in the [northern] Afghan provinces of Tahar and Kunduz about 60-80 kilometers from the zone of responsibility of our Pyandzh border guard detachment," the officer said. He said the aim of this activity was not yet clear, but such concentration of armed groups was alarming, as routes of terrorist groups went through areas not controlled by the Afghan government forces. Tajikistan is not satisfied with the implementation of the decision of the Collective Security Treaty Organization (CSTO) on assistance in strengthening the security at the border with Afghanistan, said Minister of Foreign Affairs Sirodzhdin Aslov following the meeting of the Council of Foreign Ministers of the CSTO countries in Dushanbe on Thursday. “We analyzed the progress of the Council's decisions on the provision of assistance to Tajikistan in strengthening the Tajik-Afghan border. The decision has not been implemented fully so far, therefore, the partners were urged to undertake the practical measures to implement this decision,” said Aslov. The number of troops deployed at Russia’s 201st military base in Tajikistan will be increased 1.5-fold during the next five years — from today’s 5,900 up to 9,000, Major-General Yevgeny Tubol, the 201st base commander, told journalists on April 3, the Ozodi radio (the Tajik service of Radio Liberty) reported. The general also said that the base is currently receiving new types of military equipment. 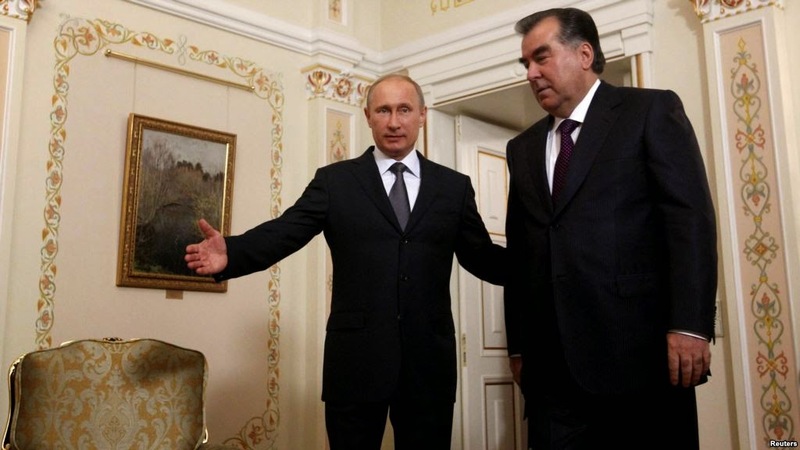 In his words, the military equipment currently used at the base will be modernized and passed over to the Tajik army. People with origins in Russia are being trained by a number of international terrorist organizations and may be used against their home country at some point, President Vladimir Putin said. 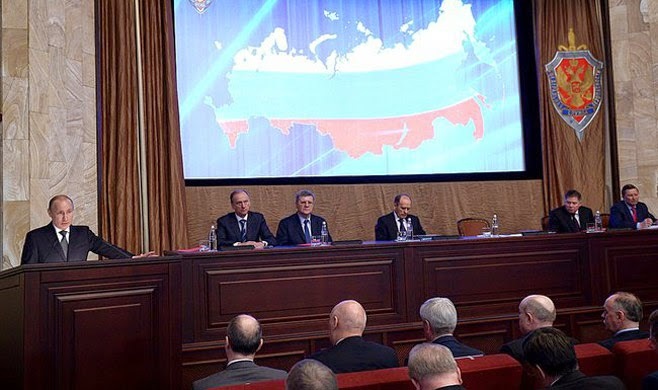 "People with origins in Russia and some other CIS countries are being trained in the so-called conflict hotbeds, for instance, by ISIL in Syria and a number of other countries and may be eventually used against us, Russia, and our neighbors," Putin said at a meeting of the Federal Security Service Board. So, it is important to take additional measures towards severing international contacts and resources of terrorists, "blocking their arrival in and departure from Russia, and stopping their movement around regions, including new constituent territories of the Federation, Crimea and Sevastopol," the president said. The number of Russia's residents, who express trust in the head of Chechnya Ramzan Kadyrov, has increased by 22% as compared with 2006, said the "Levada-Centre". More and more people treat the situation in Chechnya as peaceful and calm; and 33% of respondents believe that this is a result of Kadyrov's activities. In April 2007, there were 18% of such respondents; and in November 2011 – only 13%. Only 3% of respondents are sure that Chechnya will separate from Russia, while in 2007 the figure was 11%. 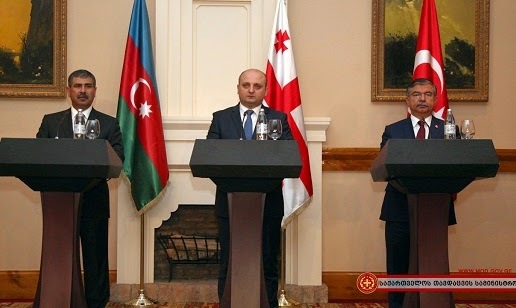 Defense Ministers from Turkey, Azerbaijan and Georgia have repeated their desire to boost cooperation in a bid to enhance peace, welfare and stability in the region. The ministers' remarks came during a press conference following their meeting at the Tblisi Marriot Hotel in the Georgian capital of Tblisi. Georgia's Defense Minister Mindia Janelidze said the cooperation of the three countries would continue with high-level activities, adding: "This (military) cooperation only aims to provide peace in the region." Georgian Defense Minister, Mindia Janelidze, has strongly denied his predecessor Irakli Alasania’s allegations and said that talks on purchasing air defense system from France are continuing. French ambassador in Tbilisi, Renaud Salins, said on April 3 that “discussions” continue on this matter.